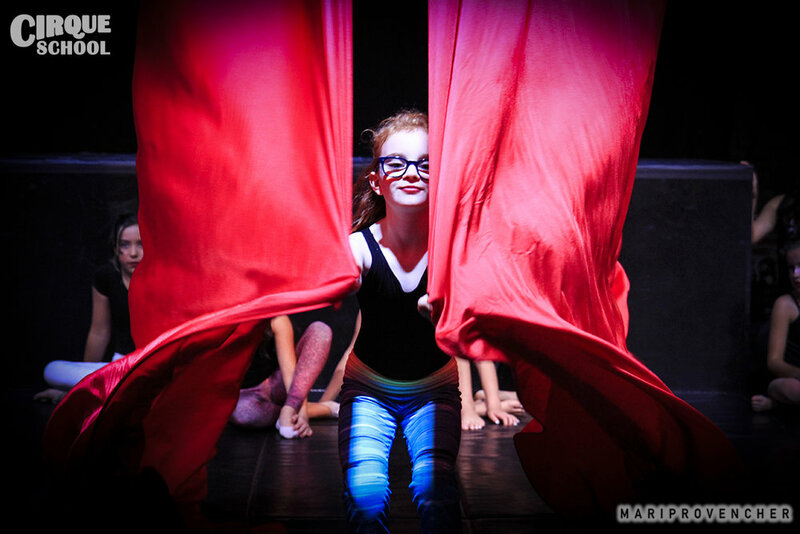 Our Cirque Kids programming is designed specifically for ages 7-13 with strong body awareness and focus who are looking for an exhilarating circus program. 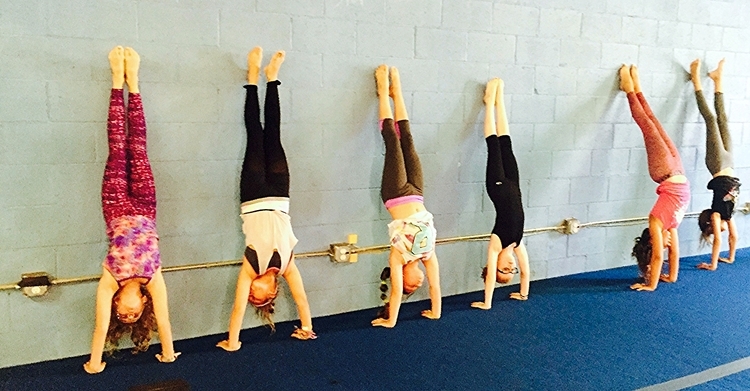 Cirque Kids will have fun while challenging their bodies in balance, coordination, flexibility and strength. Students will be introduced to and/or continue their training in a variety of cirque techniques including both aerial & ground skills. 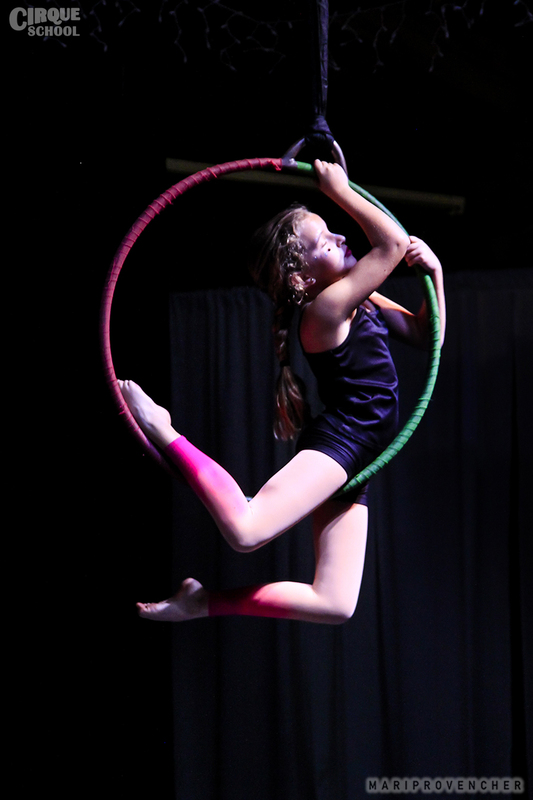 Our program is divided into 3 distinct programs celebrating each child's current level but is ideal for youth who have some prior dance, gymnastics circus or movement training. A strong emphasis will be made on mastering the fundamentals of various technical skills as a building block for higher level trick development. Students are encouraged to remain true to Cirque School’s spirit -to create a supportive and non competitive environment. Students will be taught by Cirque School’s trained circus professionals in a safe, supportive and fun environment. 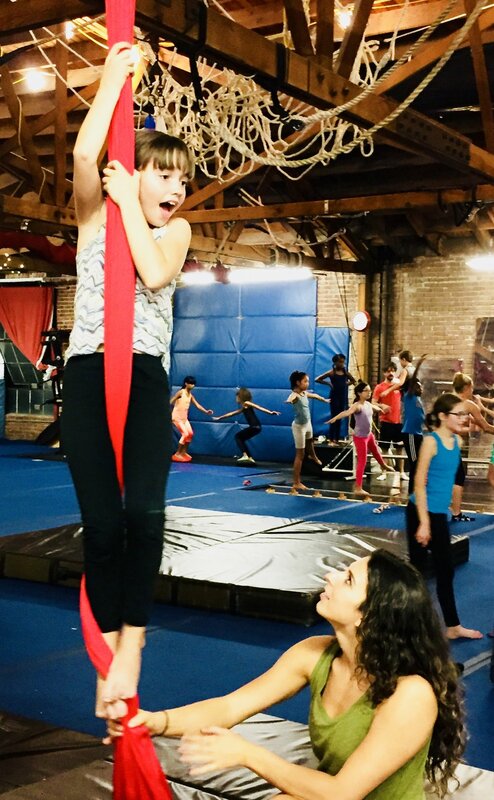 Class will include instruction in a variety of skills: Trapeze, Acrobatics, Aerial Fabric, Partner Balancing, Aerial Hoop, Hula Hoop, Aerial Hammock, Dance and Wire Walking. Please email info@cirqueschoolla.com for information on our upcoming sessions. Admittance: If you have not yet been preapproved to join us please send a submission video of your child performing the following: cartwheel, forward roll, right and left splits, center straddle, backbend, handstand (against a wall, held for 30s).. We are looking for students who have previous training in either dance, circus or gymnastics, who exhibit body awareness and control, and who are focused and passionate. Proper Attire: Leggings or Tights. Tight fitted shirt, tank top, or leotard. Ballet shoes or socks for wire walking.